Optimise your business intelligence with best-value IBM Cognos Analytics licences. Boost your ROI with partner advice, fast implementation, and optional services. We sell cost-effective licences for IBM Cognos Analytics workgroup, standard, and enterprise. Trust in the impartial expertise of high-tier IBM resellers and IBM Cognos Advanced Business Partners. 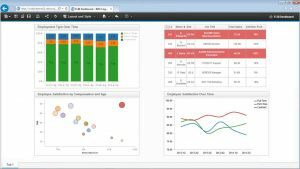 The new Cognos Analytics 11.1 boasts AI capabilities for contextual recommendations, smart data discovery, automated visualisation, and natural-language queries. 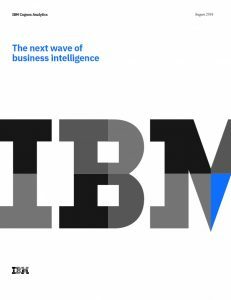 With our cost-effective IBM Cognos Analytics licences, businesses can use trusted data to create impressive visualisations with the Cognos RAVE engine. Empower your users to solve individual or workgroup challenges without external IT resource. Businesses can also benefit from our packaged services, from consultation through implementation to support, to guarantee minimum downtime and maximum functionality. Our IBM Cognos Advanced Business Partner status is proof of our hands-on knowledge of IBM Cognos solutions.